I find that when you limit your thinking to one particular concept, creativity can explode when you try to expand WITHIN it. STEP 1. PICK A SPECIFIC CONCEPT: For example, I’ll choose a standard fitness movement. The barbell bench press with a straight bar. STEP 2. EXPLORE IDEAS WITHIN THIS ACTION POINT ONLY: Where does your mind take you? For me this is where I traveled. Understand you personally could have toured elsewhere. Shown in video. When it comes to programming this lift, you can change things like the volume (sets + reps x load), intensity (what percentage of your 1rm/weight being used), frequency (how many times per week) and more depending on your current circumstances. Temperature of the room and more etc. Note: I didn’t even go into different bars, kettlebells, dumbbells, cables or other horizontal pressing or chest variations yet. This is just the straight barbell bench press. When you start getting into other movements or ideas you actually like, your brain can really take off when you use this style of thinking. STEP 3. 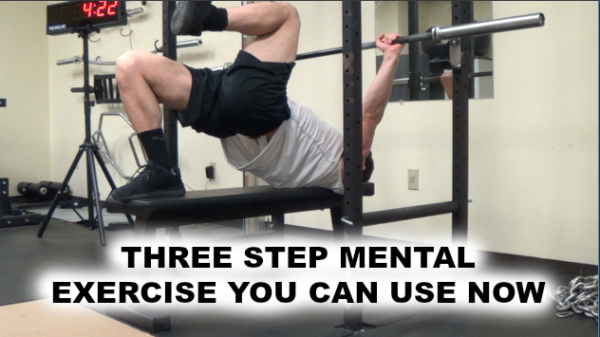 PUT INTO EFFECT WHAT YOU THOUGHT UP, PRACTICED, AND/OR CREATED: For example, for step three I made this post, and also now use different movements with myself and clients because of it. I was inspired to write this because of all the people that come to me in person stating they themselves or their physical therapist, massage therapist, or other health care provider have “tried everything”, which is never the case. This doesn’t have to be for fitness only. I even use it with music frequently. Comment with your thoughts below and I’ll respond to you personally.